Welcome to my fundraising page in support of Seva Canada's work to restore sight and prevent blindness in the developing world! Click the red "Sponsor Me" button below to support my efforts in meeting my fundraising goal. Also, you can click Register (below HELP OUR CAUSE) to create your own page and join me in raising money for Seva's life-changing work! 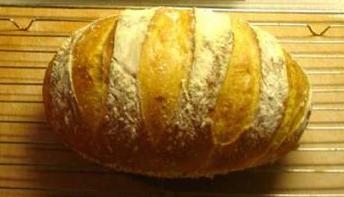 One of my retirement goals was to learn to bake artisan bread. Now that I've achieved that goal, I've set a new one. I've decided to share my baking knowledge. I got the idea that I might be able to spread the word about Seva Canada, raise some money for them and help people learn to bake artisan bread. The result of my brainstorm is a workshop called Dough for $$$Dough$$$. Rather than paying me for the workshop, participants can donate any amount they wish directly to Seva Canada. My hope is that their donations will be generous. Now that you've found my giving page, I'd like to encourage you to explore the rest of Seva Canada's website. They have fabulous cards and gifts. You just might decide to go shopping! On behalf of Seva Canada, I'd like to thank you for supporting me in my fundraising efforts. Pat Hogue 3/8/2019 $50.00 I am celebrating International Women&apos;s Day by helping a woman or girl to see!